Have you settled on the Mazda6 to meet your Columbia driving needs, but you’re unsure which trim level to select? All are strong options, as there are perks to each of the new Mazda6 trim levels. Mazda6 Sport: Starts the lineup off with the standard 2.5L SKYACTIV®-Drive four-cylinder engine good for 184 hp and 185 lb-ft of torque, as well as features like the MAZDA CONNECT™ infotainment system complete with a 7-inch color touchscreen display and push-button start. Mazda6 Touring: Upgrade to the Touring for additional features such as dual-zone automatic climate control, rain-sensing wipers, heated front seats, and the Mazda Navigation System. Mazda6 Grand Touring: At the top of the trim lineup, you’ll enjoy a power sliding glass moonroof, LED grille accent lighting, LED lights, steering-wheel-mounted paddle shifters, an 11-speaker Bose Centerpoint Surround Sound Audio System, and much more. High Beam Control, Lane Departure Warning, Lane Keep Assist, Mazda Radar Cruise Control with Close Proximity Warning, and Traffic Sign Recognition, all of which are features found on the Mazda6 Grand Touring. The new Mazda6 trim levels promise comfort and convenience across the board. Mazda6 Sport: Includes features like remote keyless entry, cloth-trimmed sport seats, six-way manual front seats and manual driver’s lumbar support, and a 60/40-split folding rear seat. Mazda6 Touring: Promises amenities including heated front seats, Mazda Advanced Keyless Entry, and leatherette-trimmed sport seats. Mazda6 Grand Touring: Boasts leather-trimmed sport seats, an eight-way power-adjustable driver’s seat with power lumbar support and memory functionality, and a six-way power-adjustable passenger seat. 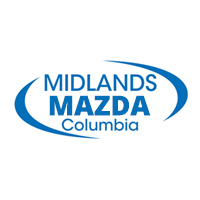 To take a close look at the three Mazda6 trim levels and Mazda technology, plan your visit to Midlands Mazda! Located close to West Columbia and Irmo, we’re happy to help you as you make your selection and accommodate all of your service needs. Be sure to compare the Mazda6 to other similar vehicles to help you make your decision!